Richard Wallace is a yellow canna with apple green leaves. There are a sprinkling of red dots in the flower’s throat. 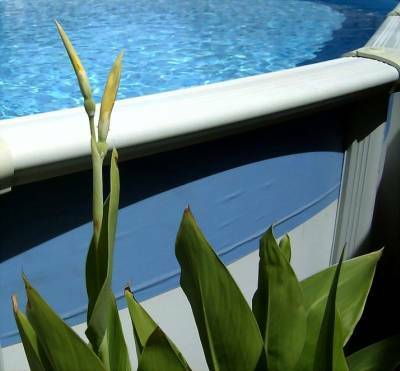 It is a historic canna developed in 1902. 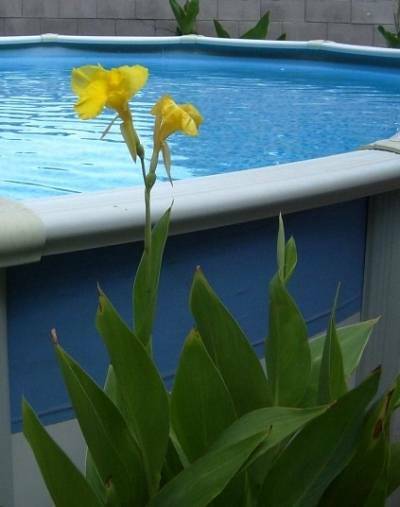 It is also a historic canna for me because it was the first canna I brought home in Las Vegas, NV. For a long time, I grew only Richard Wallace and Dawn Pink in large pots next to the swimming pool ladder. Don’t be fooled by Richard Wallace’s small, brittle rhizomes. He is a vigorous and agressive grower. Canna ‘Richard Wallace’ buds are yellow/green. This entry was posted on Saturday, September 6th, 2008 at 10:38 pm	and is filed under C. 'Richard Wallace', Canna, Flowers. You can follow any responses to this entry through the RSS 2.0 feed. You can leave a response, or trackback from your own site.